Obstacle course race season is in full swing. 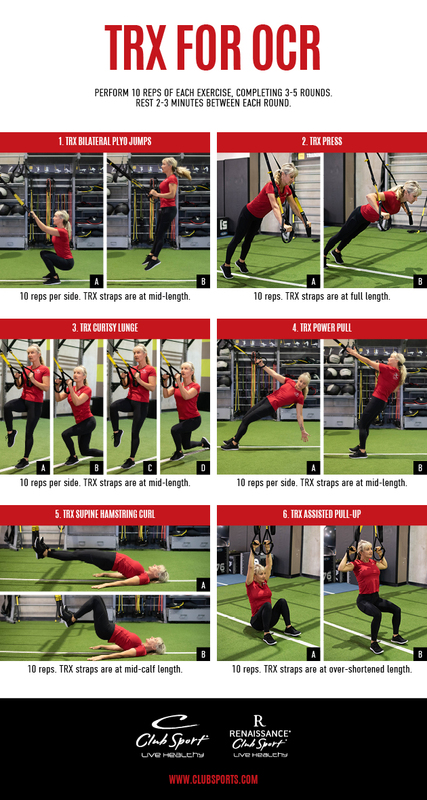 Last month’s workout used various tools to get OCR newbies and vets in top shape for race day, so in this month’s workout, we narrow things down quite a bit and rely solely on the TRX to build power, strength, and muscular endurance. Utilized by athletes and the military, the TRX is a versatile and portable apparatus that allows you to incorporate lower, upper, and core muscles for total body workouts that yield results in strength, balance, coordination, and flexibility. Make this workout part of your regular training routine to excel in your next OCR event. Perform 10 reps of each exercise, completing 3-5 rounds. Rest 2-3 minutes between each round. 1. TRX Bilateral Plyo Jump: 10 reps per side. TRX straps are at mid-length. 2. TRX Press: 10 reps. TRX straps are at full length. 3. TRX Curtsy Lunge: 10 reps per side. TRX straps are at mid-length. 4. TRX Power Pull: 10 reps per side. TRX straps are at mid-length. 5. TRX Supine Hamstring Curl: 10 reps. TRX straps are at mid-calf length. 6. TRX Assisted Pull-Up: 10 reps. TRX straps are at over-shortened length. Brenda Bennett is an endurance athlete competing in cross country, trail running, and obstacle course racing. She has an expertise in fat loss, strength training, and functional movement, and has made it her mission to help clients discover their potential and change their lives through wellness. 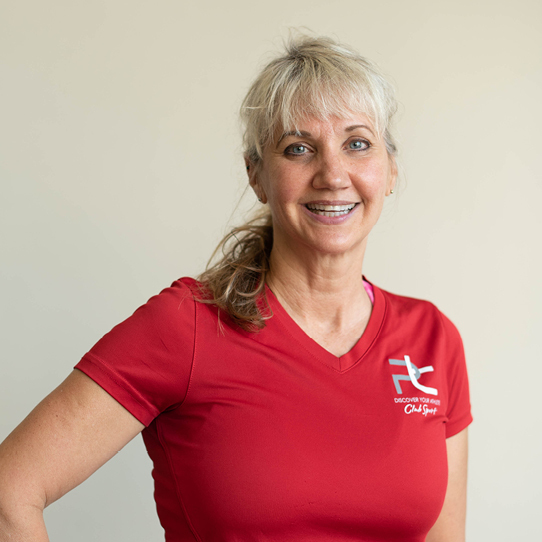 She believes that our mindset is our biggest asset, especially in fitness, which is why she motivates clients to focus primarily on achieving proper body mechanics, muscle activation, and execution of movement patters, knowing that results will follow. 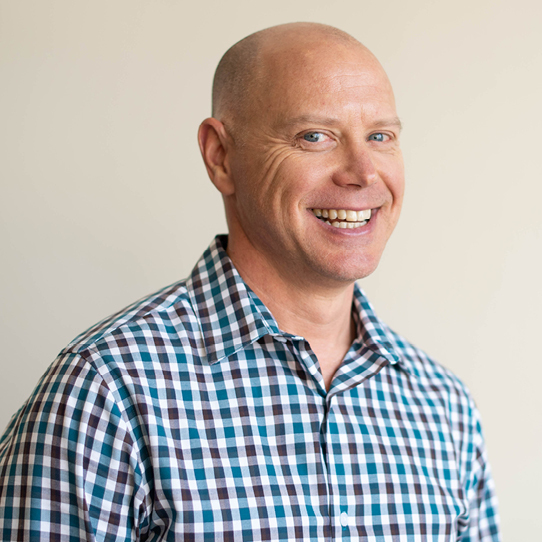 Krag Rasmussen is the Wellness Director for ClubSport Fremont and has over 20 years in the fitness industry as a competitive athlete, endurance coach, personal performance trainer, and fitness director. Krag is a multi-time qualifier for the USA Triathlon National Championships and race winner in running, duathlon, triathlon, road cycling, and cyclo-cross racing.